The slow property market has not stopped developers from planning projects ahead. One of them is Hunza Properties Bhd that is ready to implement the first phase of its RM10bil mixed-development project in Bayan Baru in 2017. This follows the issuance of completion and compliance certificate for its 690 units of low-cost housing to relocate the squatters. Group managing director Khor Siang Gin (pic) told StarBiz that the group had already submitted the rezoning plans to the local authorities. He said Hunza was now working on the plans related to technical aspect, which will be submitted in the second half of 2016. “The proposed name of the project is Penang International Commercial City, which we expect to commence work in mid-2017. “There will be serviced apartment and apartment towers, two hotels, a business-process outsourcing (BPO) tower, a medical centre, shopping mall, and 15,000 sheltered car-parking bays. “There will be three phases for the project, which is being planned for completion in 2026,” Khor said. He said the first phase was expected to have a gross development value of RM5bil, comprising a shopping mall, medical centre, a BPO tower, a hotel, and serviced apartments and apartments. “We plan to sell only the serviced apartments and apartments but not the medical centre, BPO tower and the hotel. The commercial portion, which will have a gross floor area of 3.36 million sq ft, will be kept by the group to generate long-term recurring income. “There are 1,792 units of serviced apartments and apartments. The first phase is scheduled for completion in 2021, while the second and third phases over the next seven years,” he said. He added that the second and third phases would see the development of more apartments, a hotel and a college. The project is located on a 43.36 acre land. 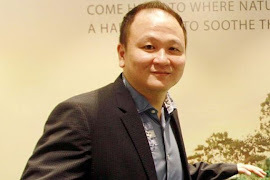 It will have a gross floor area of 9.4 million sq ft.
Hunza, which is in the process of being delisted, has started its overseas roadshows to market its luxurious low-density RM600mil Alila 2 condominium project in Tanjung Bungah. “In January, we were in Hong Kong to promote the 9.8-acre project, which has received encouraging response. We have sold some units and received registrations for some. Most of them are investing in the properties as a second home,” he said. The group will go to Indonesia and Singapore next, according to Khor. “The key attractions are the size of the 270 units, which have built up of between 1,900 sq ft and 3,200 sq ft at a starting price of RM790 per sq ft.
“There are also three acres of untouched hill land, which have allocated as open space for recreational activities within the development. We also spent RM12mil to landscape the project,” he added. Khor said the group had submitted Alila 2 for the Green Building Index certification. So far, 30% of Alila 2 has been sold. In Bertam, Kepala Batas, the group planned to launch 250 semi-detached houses and zero-lot bungalows for the first phase on 80 acres in May. “We will launch 786 units of zero-lot bungalows, terraced properties and low-cost high rises in the second and third phases. “After the implementation of these projects, the group will have a further 270 acres of undeveloped land bank in Bertam. “We have recently sold 37% of the 232 terraced units launched in October,” he said.